Join us on Saturday August 5, 2017 from 7:00PM to 10:00PM at Stanley Park for In Situ CAMPER installation 110 by Megan Gnanasihamany. 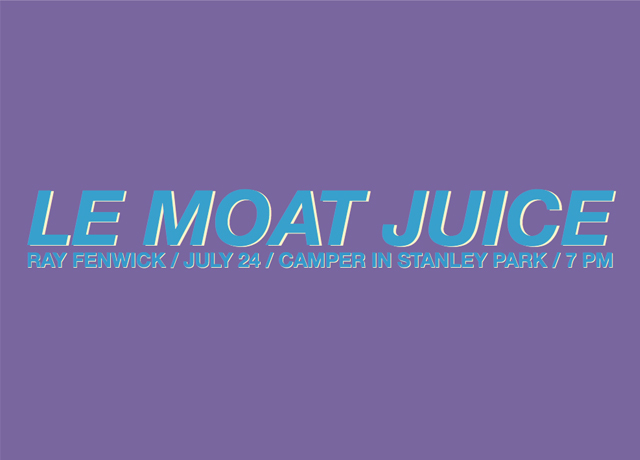 The CAMPER will be situated in the lower end of the park between 4th St SW and the Stanley Park Lawn Bowling Club. Growing up in Alberta is to grow up positioned in relation to the road. A disconnect to land is inherent in vehicular travel, othering and rendering strange everything outside of the air-conditioned confines. From peering at intermittent road-signs, trying not to miss the turnoff, and rotating the same 5 cds as a break from seemingly unending radio static to the smell of long-cold gas station coffee, the road trip becomes its own space and driver and passenger come to know the vehicle as an extension of bodies traveling between destinations. 110 is an exploration into the meeting points of memory, filmic fiction, and bodily experience within a stationary road trip. Set within the interior of CAMPER, the work invites participatory viewership as we explore micro-narratives of backroads and highways within a familiar landscape. Megan Gnanasihamany is an interdisciplinary artist currently based in Edmonton, Alberta. From exploring the delineations between natural and urban space to acting as a member of an imagined sports team with Tennis Club collective, notions of culturally accepted reality and performing as a person within those realms inform Megan’s work in sculpture, text, collage, sound installation, and video. Her practice centers around themes of participatory viewership, performative identity, fictive realities, and cultural myth-making. Megan spends her leisure time exploring the joys of discovering local flora and fauna, biking across bridges, and listening to the chorus of construction surrounding her home. 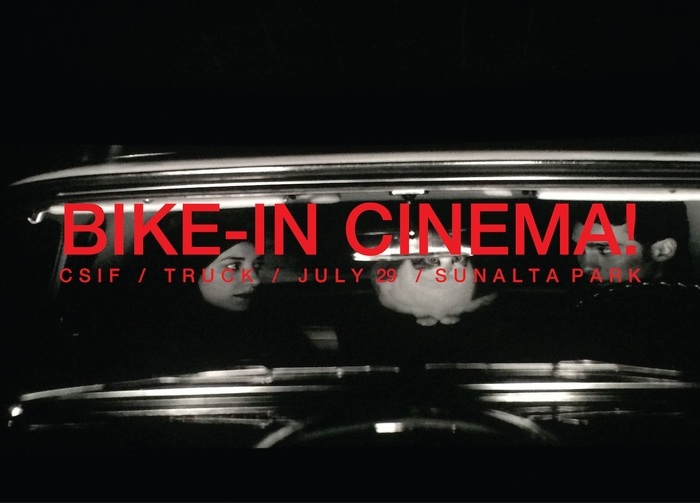 When the sun begins to set and the shadows grow long join The Calgary Society of Independent Filmmakers and TRUCK Contemporary Art in Calgary for an exciting evening of outdoor cinema in Sunalta Park. 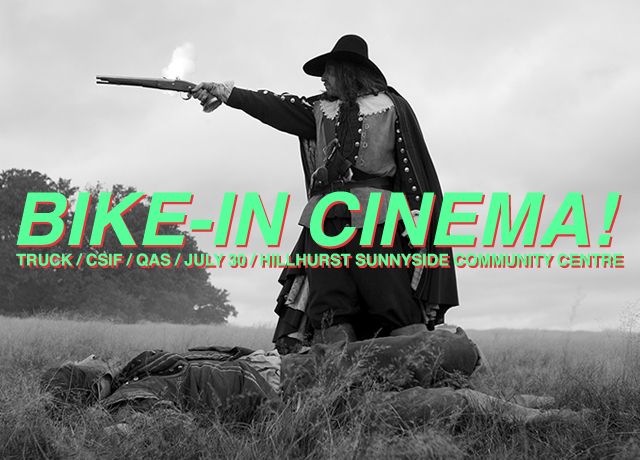 At sundown, we will be screening the short film STRANGE TERRITORY by Calgary-based artists Ashley Bedet and Jessie Short, and the feature film A GIRL WALKS HOME ALONE AT NIGHT directed by Ana Lily Amirpour. Bike in, chill out, bring your own snacks! Strange things are afoot in Bad City. The Iranian ghost town, home to prostitutes, junkies, pimps, and other sordid souls, is a place that reeks of death and hopelessness, where a lonely vampire is stalking the town’s most unsavory inhabitants. But when boy meets girl, an unusual love story begins to blossom… blood red. Ana Lily Amirpour’s debut feature A GIRL WALKS HOME ALONE AT NIGHT basks in the sheer pleasure of pulp. A joyful mashup of genre archetypes and iconography, its prolific influences span spaghetti westerns, graphic novels, horror films and the Iranian New Wave. Amped by a mix of Iranian rock, techno and Morricone-inspired riffs, it’s airy, anamorphic, black and white aesthetic and artfully drawn out scenes combine with simmering tension to make the first Iranian Vampire Western.